Bacchanalia is Atlanta's most celebrated restaurant featuring contemporary American cuisine from chef/owners Anne Quatrano and Clifford Harrison. 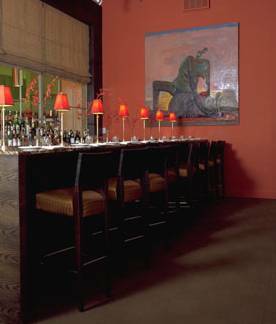 Originally located in a Buckhead cottage, the restaurant opened in the winter of 1993. In 1999, Bacchanalia moved to its current location in a renovated factory on Howell Mill Road on the Westside of Midtown Atlanta. Expect incredibly fresh and flavorful choices, with masterful preparation and presentation. Bacchanalia’s seasonal menu relies entirely on organic ingredients, many sourced from Chef Anne and Clifford’s farm, so that diners can have an utterly unique dining experience each time you return. 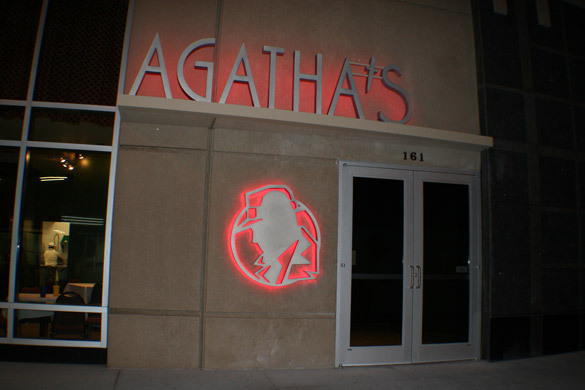 Agatha's is a comedy murder mystery dinner theater with audience participation, maximum of 170 people. All shows are original comedy murder mystery plays that take place in the dining room between the courses of the meal. There is no stage, the actors move all around you so you can see and hear from all seats. Two professional actors carry the show and the rest is up to the audience. Participation is encouraged, but not required. Agatha's serves a five course meal which is appetizers, soup, salad, choice of entree' and dessert. Once here and seated the waiters come around and go over the entrees' and you choose at that time. Wine is served with dinner beginning with the soup course. Tucked away along the peaceful banks of the Chattahoochee River, yet conveniently located in the Atlanta community of Vinings lies one of the country's most acclaimed restaurants. 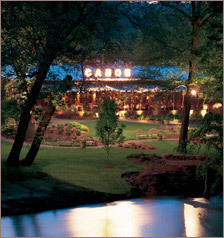 Balanced by both culinary expertise and natural aesthetics, Canoe offers a rich, flavorful experience for all your senses. There are many reasons why Canoe has been featured in Bon Appetit, Food and Wine, Gourmet, The Wine Spectator and The New York Times, to name a few. A passion for creating the superb. Meticulous attention to detail. A true joy for hospitality. Divan is the kind of place that gives the term “romantic restaurant” a whole new meaning. 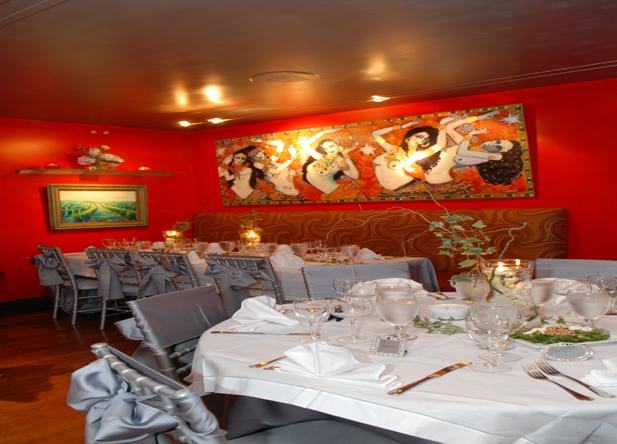 It offers not only delectable Mediterranean cuisine, but also a sensual environment. Divan’s extraordinary menu combines the traditional ingredients and recipes of the Mediterranean with influences from the rich flavors of Persian cuisine. The restaurant’s design is truly unique. plush daybeds. Dining at Divan is certainly an experience that is not to be missed. Historic Underground Atlanta offers unique shopping, dining, history and entertainment to Atlantan’s and our visitors. 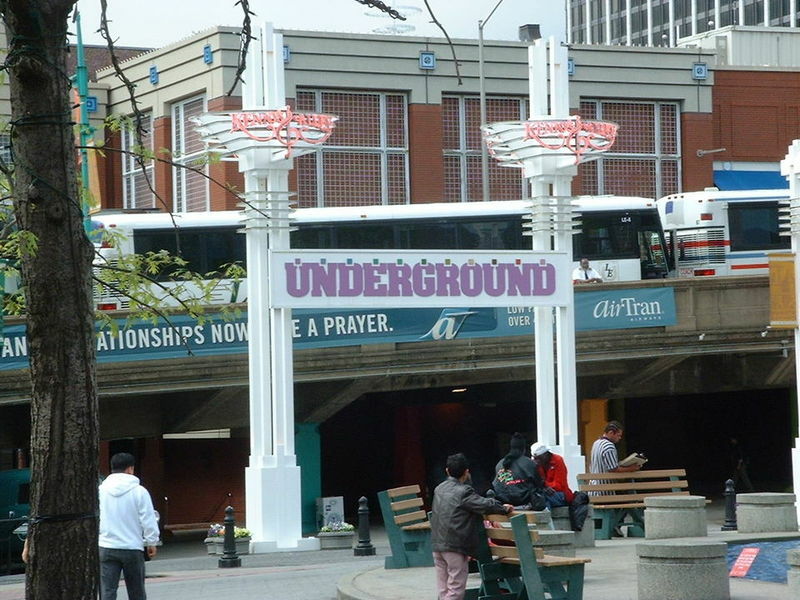 Located in the Heart of Downtown, Underground Atlanta is bustling with activity, day or night. Enjoy daily entertainment by Atlanta’s talented residents, caricature drawings and fortune telling, homemade candy, delicious dining and souvenir shopping. Learn of Atlanta’s past on our guided history tour, From Civil War to Civil Rights. After dark, enjoy our clubs and restaurants in Kenny’s Alley for a night of pure entertainment.